Riding this elevator everyday for the past few months I’ve observed a lot of interesting tics and habits people have on their rides. One of these in particular makes me chuckle a little every time I see it. It happens at least once a week. Someone steps on the elevator. The door closes. We ride down a few floors before having to stop again. People riding the elevator get frustrated when someone else needs to ride the elevator as well. Confession: I’ve been this person sometimes. You probably have been too. But if we’re getting frustrated at the mere act of stopping at an extra floor then I think we have a problem with our elevator psychology. It’s a pretty silly thing to get upset about. After all, the other people getting on the elevator are just like us, just trying to get where they need to go. But we’re in such a hurry that the 7 seconds it takes to stop at another floor makes us roll our eyes in annoyance. Is it right for us to be annoyed when someone interrupts our journey? 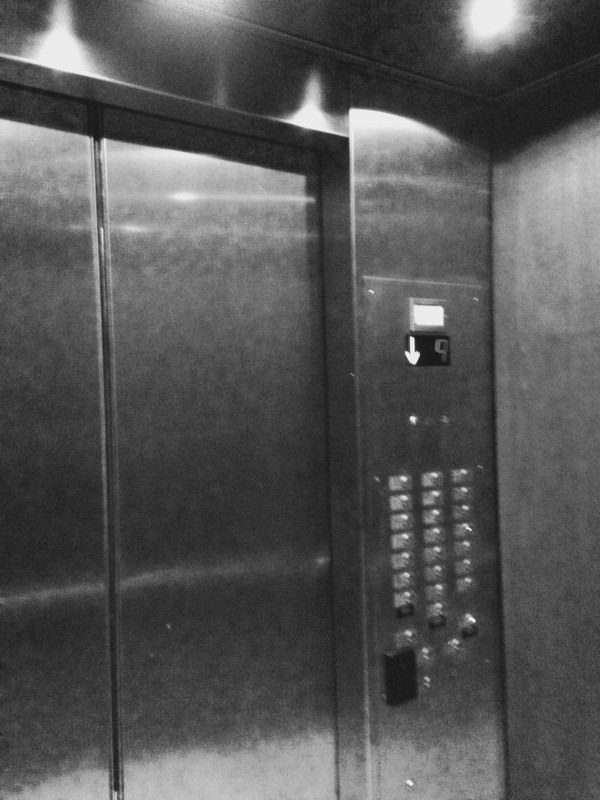 Elevators are incredible machines which take us exactly where we need to go, through no effort of our own. If we want to reap the benefits of this machine which gives us such an incredible gift, shouldn’t we be content with a few interruptions along the way? In the same way, when we ask God to take us along for the ride we can’t get upset when He stops to let someone else on. After all, some of the most important moments in life start out seeming like annoying interruptions. Here’s a suggestion for the next time you’re on a long elevator ride: Instead of rolling your eyes when the doors open, say a prayer for each person who steps on. If you’re braver than me go even further and start a conversation with them. Believe that every second of your life can be filled with meaning and that every interruption can have a purpose. Even on an elevator ride. I don’t know. Maybe I’ve been spending too much time riding up and down the elevator and this all sounds like the rantings of a crazy man. I’m just saying that instead of dragging your day down the interruption of 15 seconds on an elevator has the power to lift your spirits, if you let it. Are you an eye-rolling elevator rider? Or are you an engaging one, making the most of the opportunities on your way up and down the floors? How can you make the most out of even the smallest opportunity today? Good thoughts – I’m guilty of being an eye-roller elevator rider at times!